Your father informed me the other day that he wants to nickname you “Deuce”. I think he was referring to you being male and probably being named Little A, making you a second, to which he would change to Deuce. If you’re female, apologies, because that still may be your name. Your father can be a stubborn SOB. My immediate response was “But what if you drop him?” We may watch too much Family Guy. I’ll try to stop him, Kid, but you may be outta luck on this one. Your immediate response = my first response also. You cannot do that to a child! Big A has a voice on this blog, and there’s nothing wrong with Deuce. It’s a much better alternative than Junior…it also helps to keep the image of the Deuce Mcallister or Duce Staley as opposed to freakin Deuce Bigalow. 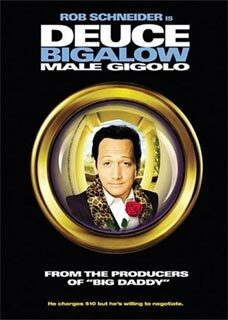 I stand by my decision on Deuce Bigalow. Just makes me think of a deuce. As in dropping one. Let us be real here. No one on the playground is going to hear “Deuce” and think Deuce McAllister/Duce Staley before they think “dropping a deuce”. THINK OF THE CHILDREN 😦 Because sometimes children are jerks. Science doesn’t lie, my friend.